A trust is an important estate-planning tool that offers many tax and other financial advantages to a person’s estate. However, a good trust needs a competent trustee to manage the trust’s assets and make correct distributions to the trust’s beneficiaries. A good trustee can ensure a trust is managed the way the settlor intended and works to make sure the trust’s purpose is fulfilled. A trustee is a person or financial institution that administers and manages a trust for the benefit of named beneficiaries. A trustee has many duties, which include the duty to properly manage the trust, to prudently invest its assets, and to act in the best interests of the beneficiaries. A trustee’s role is significant because a trustee is often allowed to act at his or her discretion, or how they best see fit. Some trustees are even allowed to give money to the beneficiaries at their own discretion. Trusts can also be created with a spendthrift clause that will allow a beneficiary to not make distributions to beneficiaries at their discretion or according to the rules of the trust. Therefore, the role of the trustee is different for each trust. A trustee should be carefully chosen because the person serving as trustee has many duties that can require years of actively working with the trust’s beneficiaries. It is not required that a trustee have advanced legal or financial knowledge, but it is usually recommended. Most importantly, the trustee should be someone the trust maker trusts to administer the trust as he or she intends for him to. We also recommend that the trustee lives in close proximity to the beneficiaries so the trustee’s duties can be performed quickly and without undue travel expense. Managing a trust is a big responsibility and requires a trustee to make some hard decisions that aren’t always easy. A trustee needs to communicate with the settlor to form an understanding of what is being asked of him or her and the expected time commitment. A person who is not a professional may balk at the potential time and work required to administer the trust. A trustee can be held personally liable for any mistakes he or she makes as well, which can become a major deterrent from accepting the job. 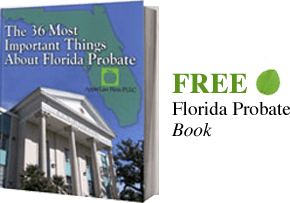 Because it can be difficult to find a qualified person to serve as trustee, many choose to hire a trust company or bank to serve as the trustee. A professional company will usually be completely detached from the situation, which means they will usually make decisions in the best interest of the trust and the beneficiaries. A professional trustee is also usually held to higher standards by courts than ordinary people. This means if a professional trustee makes a mistake, the court will be more likely to favor the beneficiary. One big downside to hiring a bank or a trust company is they often charge fairly large fees. Generally, it is recommended a trust held by a bank have assets worth at least $1 million or else the fees will be too expensive and eat into the trust’s principal. For more information on how to create a trust and choosing the most appropriate trustee contact us today.